This paper aims to describe the process of knowledge sharing among countries of the Southern African Development Community (SADC) in view of Capacity Building in Open and Distance Learning (ODL). The main purposes of this project were to contribute to the development and deployment of effective, harmonized open and distance learning (ODL), to increase access to quality education and training, and to support regional integration across the SADC. The University of Mauritius was designated to implement the Knowledge Management System for the SADC and to conduct appropriate training for the different categories of users to use the system. The KMS enabled two Centers of Specializations, in particular, and ODL institutions, in general, to share information and resources across the SADC region. The KMS enabled the targeted institutions to manage knowledge, information, and resources by supporting creation, capture or collection, securing/storage, coordinating, combining retrieving, and dissemination of knowledge and expertise. The system was designed to serve as an effective and efficient knowledge network that will create links between ODL practitioners in the SADC Member States to facilitate knowledge sharing, i.e., connecting the knowledge and information seekers to the knowledge/information sources. The KMS has been successfully built and the benefits that were brought by such a system are enormous. It has enabled this region to bridge the gap by enabling 15 member states with a total population of around 277 million inhabitants. This knowledge sharing experience has been unique since it has enabled this whole region of Africa to become one and to share resources created among them. The authors of this paper would like to thank the Southern African Development Community (SADC) and the Open University of Tanzania and the University of Mauritius for their help and support during the project. Indeed, it was a challenging project but all necessary information and facilities were made available. Drucker, P (1993a). 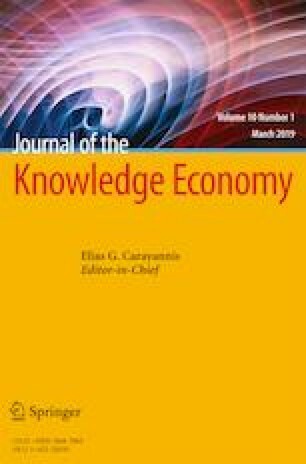 Journal of Knowledge Management, 3(2). Knowledge management and process performance. Library review. [online] Emerald Database. Available from: http://www.emeraldinsight.com/doi/full/10.1108/13673270310492903. Accessed 2 Mar 2016. Penrose (1959). Journal of knowledge management, 18(16). An evaluation of management system tool part 1. Library review. [online] Emerald Database. http://www.emeraldinsight.com/doi/full/10.1108/13673270810859479. Accessed: 2 Mar 2016.